Flicking through these pages was like taking a stroll down a familiar path, into the past. This latest novel, by Maggie O'Farrell, is about a family, called the Riordans - an unusual choice of name, considering that it was the name of a long-running tv drama that ran throughout the 1970s on Irish television, something akin to the BBCs 'Emmerdale Farm'. Perhaps the author did this intentionally, because theirs is a very Irish family, complete with suffocating mother, sexual repression, religious fervor and fiery tempers. (Please forgive any unintentional stereotyping, I speak as I find!). The fact that this particular family actually live in London is quite surprising, considering how Irish they still are. 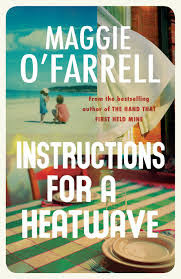 O'Farrell picks a particularly hot summer, 1976, in which to set her story, adding stress to the predicament that the family finds themselves in. Mr Riordan, has disappeared and the children, who, for various reasons, are not as close as they once were, must return to the family home and face each other and their past, to work together to find him. 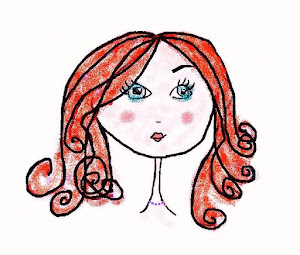 She also uses her prose style to create the character of one of the Riordan daughters, Aoife. This, the youngest of the three children, cannot read and was always a 'problem' child. The author is not explicit, maybe intentionally so, but it is clear that Aoife has some sort of intense, sensual relationship with the world. Perhaps she is autistic, perhaps not, but she loves libraries and books, not for their words, but because she likes to touch their covers and look at their visual images. When she looks at words, they jump out at her and attack her. O'Farrell brilliantly describes her return to the old home in the highly visual style of Virginia Woolf. Here O'Farrell brings us right inside Aoife's head by describing the way she experiences the world, through her senses. This was the most enjoyable aspects of the novel for me. I also liked the way she described the inner-life of Michael Francis, the only son in the family. He continually disguises his true feelings and says and does things that he did not mean to say and do. In this way, it make him a very likable character, who, just like his father, keeps his true self locked up. Of course, the reason why these characters repress their true emotions becomes clear as the story is revealed and family secrets begin to reveal themselves. The 1970s setting of the story really appealed to me, surprisingly so, and the whole ambiance of the novel was strangely familiar. Because of this, I would recommend this book to my friends, especially any who grew up in the 1970s, and especially who are Irish, or have an Irish mother. This is a fine summer read - buy it for your sisters and girlfriends and take a trip down memory lane together.